Home accessories and architectural details that require rugged and durable metalwork deserve the same attention to design as the furniture you use each day. 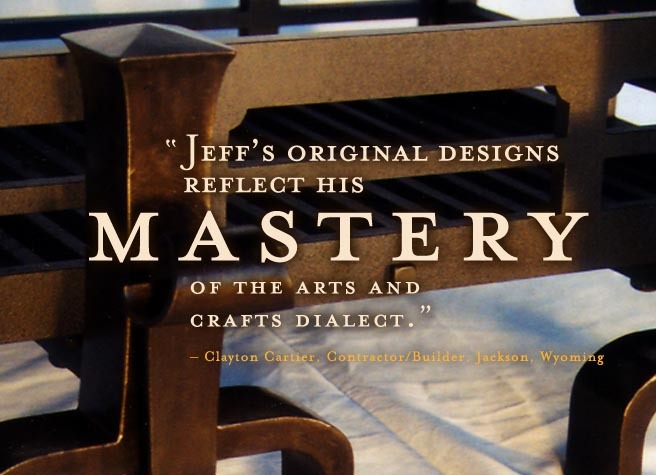 Jeff Grainger Studio creates custom metal work for entry or exterior gates, fireplace andirons, fireboxes and other decorative metal work to suit your needs. Take a look at his artistic pieces, made of cast iron or bronze to give lasting strength, with hand-made details that provide enduring beauty. He’ll create beautiful metalwork for your home, inside and out.